FDA Seeks Data on Risks of Metal Poisoning from Hip Replacements – AboutLawsuits.com. 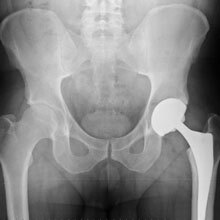 Federal regulators are trying gather additional information about the potential risk of metal poisoning from the metal-on-metal hip replacements, as concerns continue to grow about the high levels of cobalt and chromium that may enter the bloodstream from the artificial hip implants. On May 6, the FDA ordered hip implant makers to conduct post market studies to gather data on the levels of metal in the blood of people who have received their hip implants and what health effects those implants might have. The agency sent a total of 145 post market surveillance orders to 21 different manufacturers, including DePuy Orthopaedics, Zimmer and Stryker. It sure has taken the FDA a long time to determine they need a study. I have seen 40+ doctors, a revision to get the metals out and experienced all the symptoms of cobaltism, except for cardiomyopathy, I am frustrated that I can not find a doctor in Colorado who has dealt with and treated patients with metal toxicity. If anyone knows a provider in Colorado, I would appreciate their name. I’m in CO and experiencing problems from my hip resurfacing done in 2009. I’m seeing Dr. Loucks & Dr. Lammens soon and will post if I have any luck. I also have a friend who had revision due to cobalt & chromium levels – a surgeon in Longmont. Another friend is talking to a doctor at National Jewish doing a study on metal levels after device implants. Please reply here & let me know what you’ve done in more detail and maybe we can coordinate. this is Old News from 2011….? Once the components are taken out the levels drop, after 15 months my cobalt has dropped to almost normal, but the Chromuim has dropped to about half of what it was. As far as I know, removal is the only way to get rid of it.